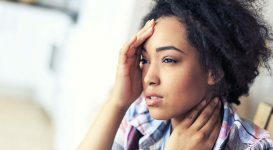 As a migraineur, I didn’t realize that the migraines I was suffering from had phases – which was pretty eye-opening to me, and explained a lot! According to the US National Library of Medicine – National Institutes of Health, migraines are divided into four phases – the premonitory (or prodrome) phase, the aura, the headache phase, and the postdrome. The premonitory or prodrome phase is the initial phase of a migraine – and occurs hours or even days before pain occurs. Migraine.com estimates that 30% to 40% of migraineurs exhibit the premonitory phase – helpful because it serves as warning that a migraine will occur. The headache phase is the classic migraine that we all know and are so familiar with. 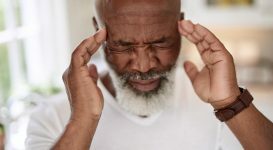 We find migraines to be debilitating – but sometimes migraines don’t last as long as the other phases – the prodrome, aura, and postdrome – and in the grand scheme, are not quite as debilitating as the other phases. Do these symptoms sound familiar? Many people describe this phase as a “migraine hangover” – because that is exactly what it feels like, a hangover! 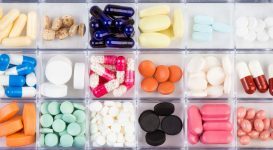 The issue with migraine postdrome? As migraineurs, we all know it exists! However, it has been poorly studied and thus, poorly documented. In a research study, migraine patients from four headache centers were recruited. 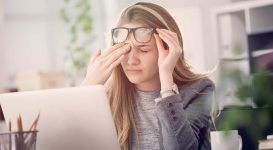 The criteria were that they had to have non-headache symptoms, besides classic migraine symptoms such as auras, nausea and vomiting, phonophobia and photophobia. 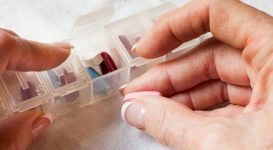 These people were recruited for a three-month electronic diary study, which aimed to document non-headache symptoms in all four phases of the migraine. The diaries were programmed to alarm once daily, and the participants were asked to answers a series of questions about their current symptoms. They were also asked to make voluntary entries in their electronic diary as needed. The results were quite interesting. Of the 120 participants, 23 participants were excluded because they had fewer than three migraines during the study period. 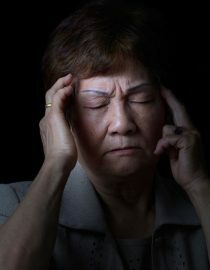 Ultimately, 85% of the participants suffered from non-headache-related symptoms after a headache dissipated. Of this 85% of participants, 66% had symptoms in 90% of their headaches, and the postdrome was lasted for at least one day in 49% of the participants. Next page: Learn what causes migraine postdrome, and tips for getting the most out of your migraine recovery days.